July 22nd in Themes For Video Bloggers by Wordpress Jedi . Video blogging is not a new concept these days. It is true that top vloggers make a killing from ads, partnerships, and other business arrangements. Starting a vlog is anything but easy though. If you have never recorded video in the past or don’t feel comfortable on camera, it may take you a bit of time to find your voice and get comfortable with vlogging (of course, you can always post YouTube videos to your site until you are ready). Thanks to Premiere theme for WordPress, you won’t have to spend too much time coding for your vlog. 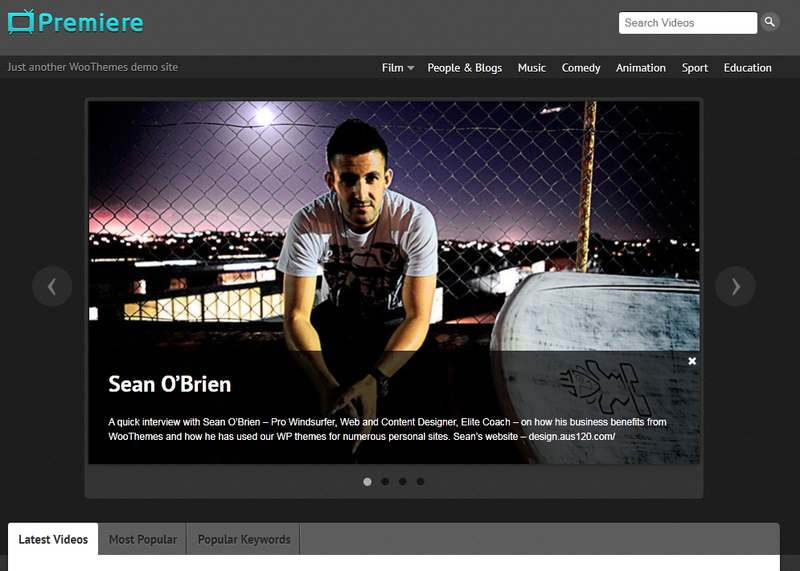 February 26th in Premium Themes, Themes For Video Bloggers by Wordpress Jedi . 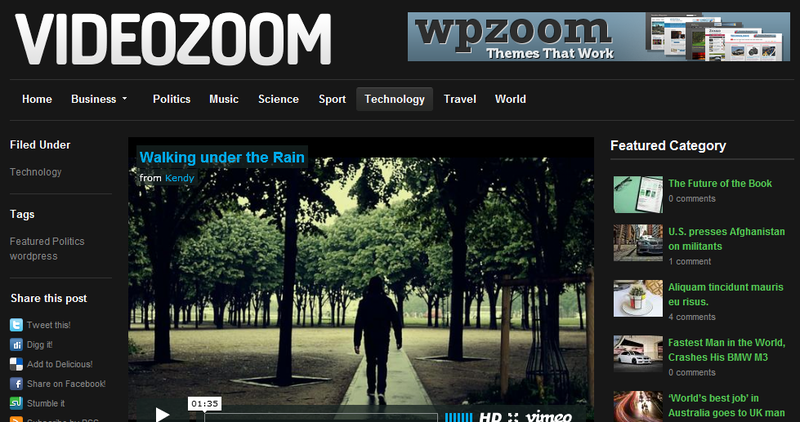 Video Zoom: perhaps the best looking video magazine theme for WordPress. It works with videos from YouTube and Vimeo. It has multiple layouts and templates. Magnifizine: works for magazines and business websites. It is image and video friendly. Offers multiple widgets and page templates. Plays YouTube, Vimeo, FLV , MP4 and MP3 files. 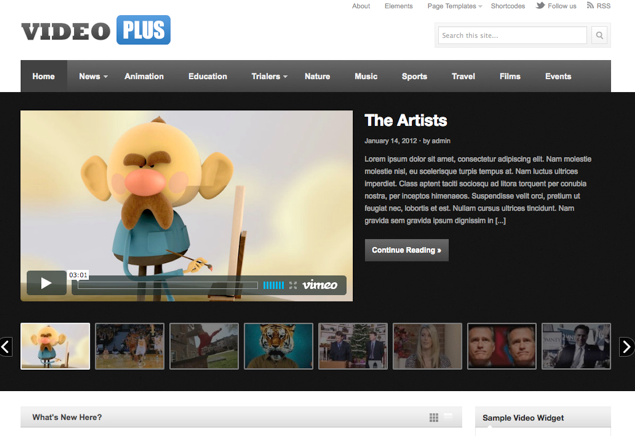 On Demand: a dynamic video blogging theme for WordPress. It has an attractive featured video section. Offers FancyBox integration and Instant View for videos. 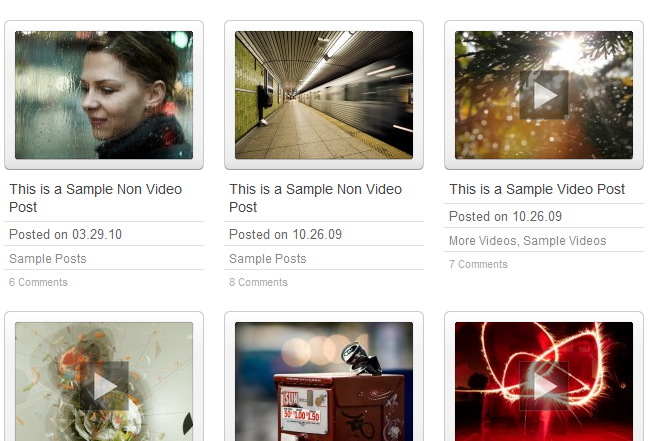 December 18th in Themes For Video Bloggers by Wordpress Jedi . Starting a video blog is more than just producing some videos and slapping it on your website. It always surprises me to see top video bloggers not having a decent theme to present their videos more professionally to their audience. I suppose if you are very popular you can get away with that. If you are just getting started with video-blogging, you are better off getting your hands on a decent vlogging theme. Videozoom is such a theme. It’s quite slick looking and lets your visitors browse your content more conveniently. As is the case with all WPZoom themes, this theme has a super back-end that you can take advantage of to customize the look and feel of your website. You can customize your site navigation and optimize your website for the search engines. The back-end is fast and responsive. March 6th in Themes For Video Bloggers by Wordpress Jedi . 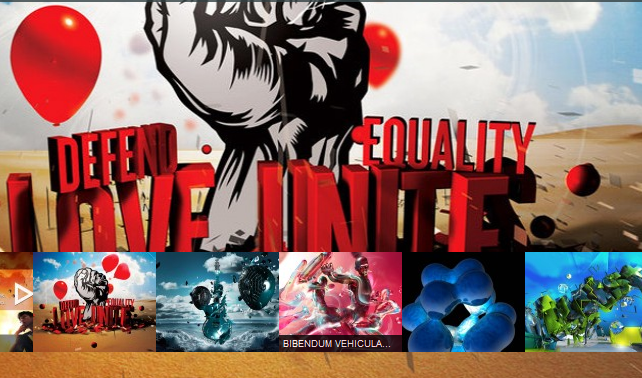 TV Elements has been one of the best video blogging themes for a long time now. The theme which was designed by Press 75 a while ago had everything you need to get started in the world of video blogging. 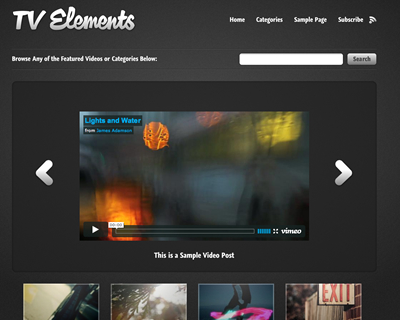 TV Elements 3 is the third iteration of this theme and comes with many improvements and a brand new design to enable you to build a more quality video blog with WordPress. The theme has been modernized and comes with more customization features, so you can focus more on creating high quality videos and less on worrying about how to change things around on your video blog. February 16th in Themes For Video Bloggers by Wordpress Jedi . 1. 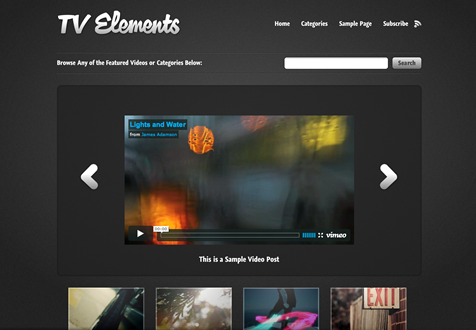 TV Elements 3 : TV Elements is one of the best video blogging themes available on the Web. It allows you to create your own show and manage your episodes effectively. You can add multiple channels and customize your site easily from the back-end. 2. 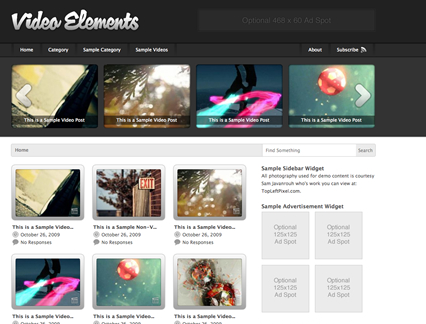 Video Elements: Video Elements was designed with the video blogger in mind featuring traditional and gallery style layout options. Your audience can rate your videos too! 3. 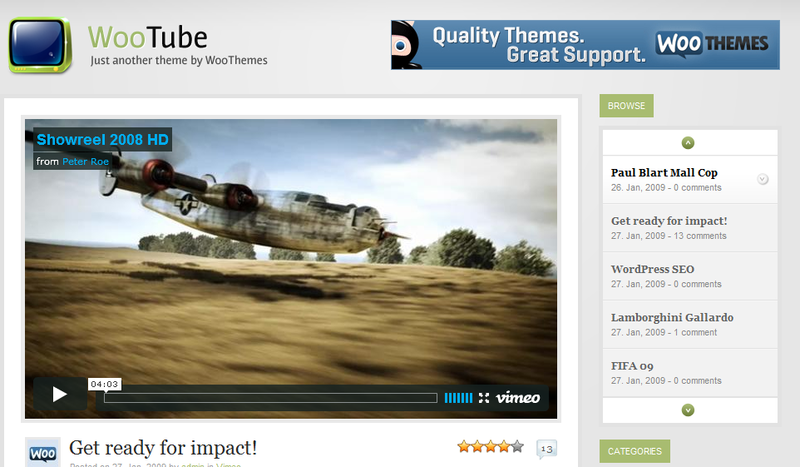 WooTube: WooTube is another great theme for YouTube vloggers. If you want to make it big time on YouTube, you can’t afford not to have a theme that supports your content. WooTube does just that! 4. 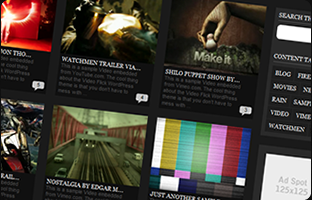 Tubular: Tubular is a cool dark video blogging theme that allows you to embed videos from YouTube, Viemo, and other top video sites to your blog. 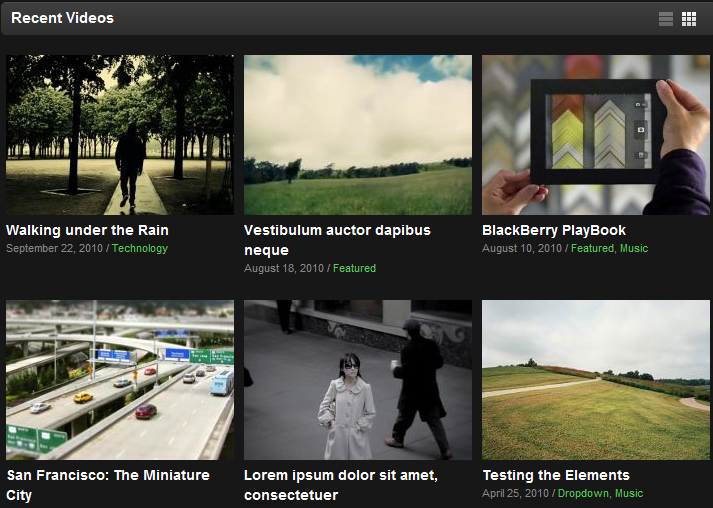 July 21st in Premium Themes, Themes For Video Bloggers by Wordpress Jedi . Meet Groovy for WordPress. A colorful video blogging theme that lets you start your own video portal fast without having to spend too much money or time on development. Starting a video blog can be a challenge, and you’ve got to get a lot of things right for your video site to grow smoothly. The last thing you want to do worry about your website design or focusing too much on coding when you should spend it on developing good content. Groovy is one of the best looking vlogging themes for WordPress. Not only it’s flexible and well-designed, it comes with 17 color schemes, enabling you to customize the look and feel of your vlog fast. Adding videos to Groovy is very easy to use. Your videos are automatically re-sized and embed code is provided for your readers as well. User ratings is also integrated into Groovy, making it easy for your readers to engage with your vlog and give you feedback on your videos. Groovy is easy to customize, and you don’t need to be a coding genius to do it. The back-end comes with all the options you need to make changes without writing a piece of code. The theme is ad ready as well, so you can use it to make money from your sponsors or direct ads. Overall, Groovy is a vlogging theme designed for those interested in adopting a highly colorful theme for their video blogs. It’s easy to customize, and it comes integrated with everything you need to engage your readers and help them spread the word about your vlog. If you love vlogging and use WordPress to manage your vlog, you are going to love Groovy.